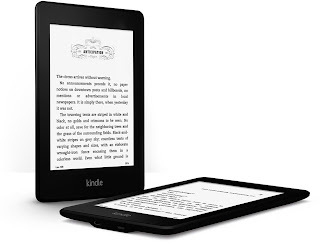 eReader1: Kindle Paperwhite - order now for Christmas! Kindle Paperwhite - order now for Christmas! The new Kindle Paperwhite is flying, and members of our facebook page are reporting that they love it. However, if you haven't ordered yet and if you want one for Christmas, get your order in! Amazon are struggling to produce them fast enough and the pre-order status is yet again extended with a 6 to 8 week delivery time! So, that takes us into early December delivery if you order now.